Disasters & Development : The hidden genocide of Rohingyas in Myanmar: raising voices from villages and camps in the Rakhine State. The hidden genocide of Rohingyas in Myanmar: raising voices from villages and camps in the Rakhine State. This is a piece I have originally published in Italian for Eastonline, an Italian magazine of global news and geopolitics. While it does not talk about risk or disaster issues, we perfectly know ethnic and religious discrimination dramatically increases risk vulnerability, together with the marginalization in social, economic, and cultural life of a country. Rohingyas are among the most vulnerable people in the world, and we should continue to talk about them. All pictures and interviews are mine (December 2016). Over one million of Rohingyas, a Burmese Muslim group living since centuries in Myanmar, suffer from 1948 (year of independence from the British crown) of discrimination and political delegitimization. Since decades, all the alternated governments -including that of the criticized Aung San Suu Kyi, a former Nobel Prize for Peace- shouldered by the armed forces and Buddhist monks, have considered Rohingyas as illegal Bengali immigrants from Bangladesh. These governments have perpetrated a "hidden genocide" through the systematic violation of citizenship and mobility rights, mass killings, arbitrary arrests, rapes, destruction and confiscation of villages. The reasons are not exclusively religious, also residing in the grabbing of Rohingyas’land to promote economic and industrial revitalization of the country, and in the need of a militarily control on the Rakhine State, in which the largest part of Rohingyas live. 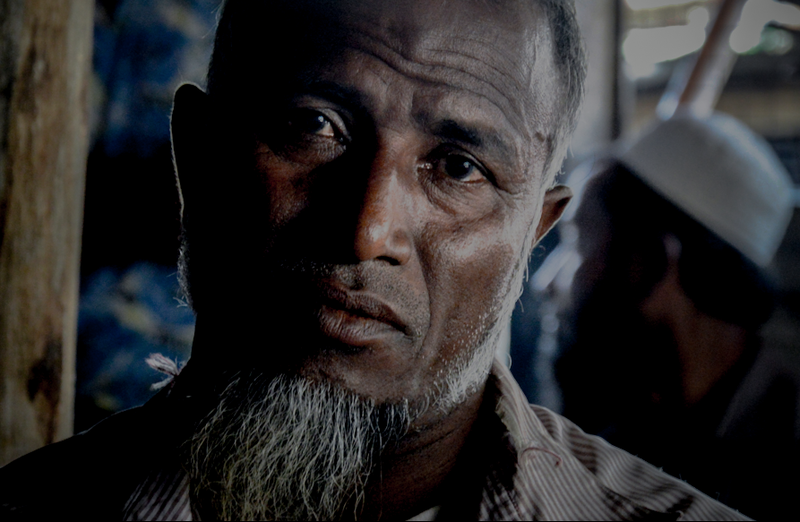 After the assaults and violence by the Buddhist population in 2012, the Rohingyas fled their villages. Currently, 120,000Rohingyas live in 36 camps IDPs (Internally Displaced Persons), while 280,000 still live into villages. 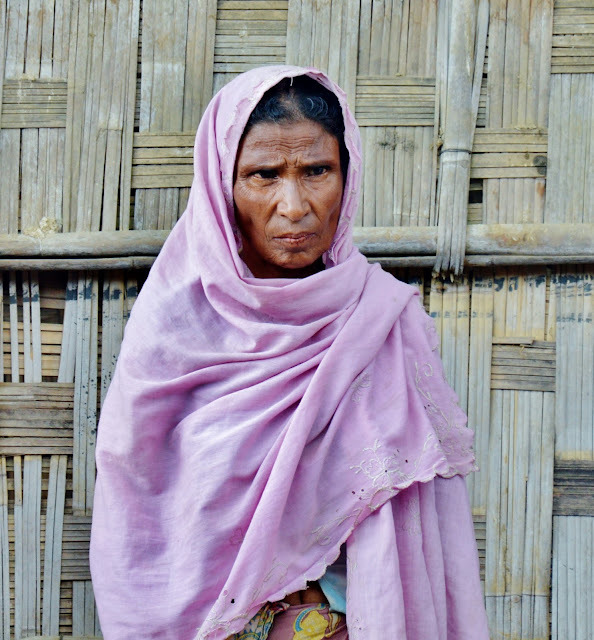 Rohingyas experience lack of food, water, and medical assistance. Several national and international NGOs provide humanitarian assistance to IDPs camps and villages around Sittwe (the capital of Rakhine), such as the Sittwe Program and Development Organization, who delivers food to 900 families (about 4,000 people) on behalf of the United Nations High Commissioner for Refugees. Arkar, 24, from Yangon, is the coordinator of this NGO and brings me in the area where Rohingyas are confined, located 20-minutes driving far from Sittwe (according to request by the NGO, the names of people and of the NGO have been changed, while the names of villages have been omitted). A rusty bar, always raised and patrolled by a visibly annoyed military, separates the Rohingya from the Burmese "normality". Beyond the bar, the main road continues straightforward. Military areas alternate to the woodland, separated from peeling walls. Some people are busy in repairing and painting the walls, others in paving the road mixing lime and placing stones. These are temporary jobs at cheap price, very slowly performed by men and women of all ages (but also children) that - Arkar says- are both Burmese and Rohingya. Together with the small trade in the villages, these jobs are among the few opportunities for these two groups to interact. From the main road, trails unpaved or covered by cobblestones reach after kilometers the villages and IDP camps, from which the Rohingya cannot get out. Those who live in the villages may move from there for visiting someone or buy something, but they are not allowed to walk on the main road. To get out from the villages they need to rent scooter-taxis and vans, often with unsustainable costs. Those living in the camps face an even more difficult condition: to enter (and exit) they must pass through two military checkpoints. At the first one, they must deliver a bribe. Kyaw is 23 years old. 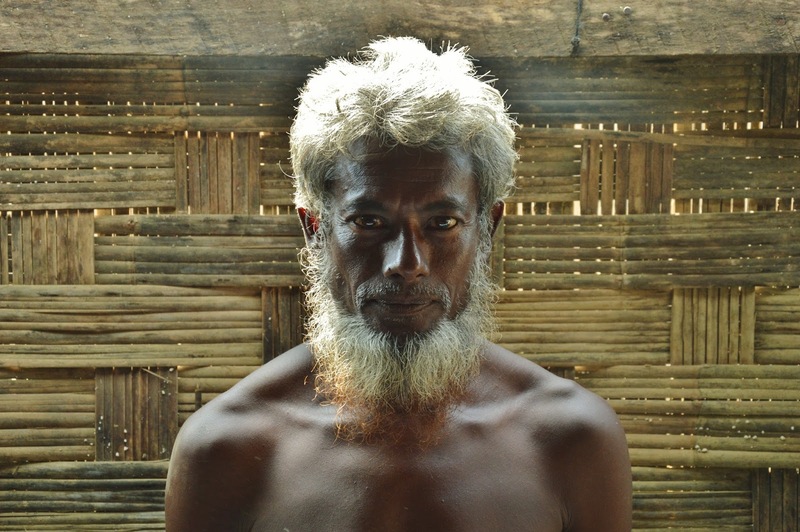 The village where he lived with his parents, who ran a small shop of medicines, was destroyed in 2012. They had to escape from their place and came to the village where we meet. Recovered for days in the village where they received water and rice and sheltered at the side of a house, they took a while to rebuild a new, albeit poor, house. As everyone, Kyaw does not have a job, but since few months he is the supervisor of the food deliver by the Arkar’s NGO in the area. Kyaw has the bright face of those who would rock the world but the melancholic and innocent eyes of those who cannot because they are forced to have nothing. His story is similar to many. As Soe, 46, who until 2012 was a milk producer and owned a house with an adjoining pasture for his cattle. 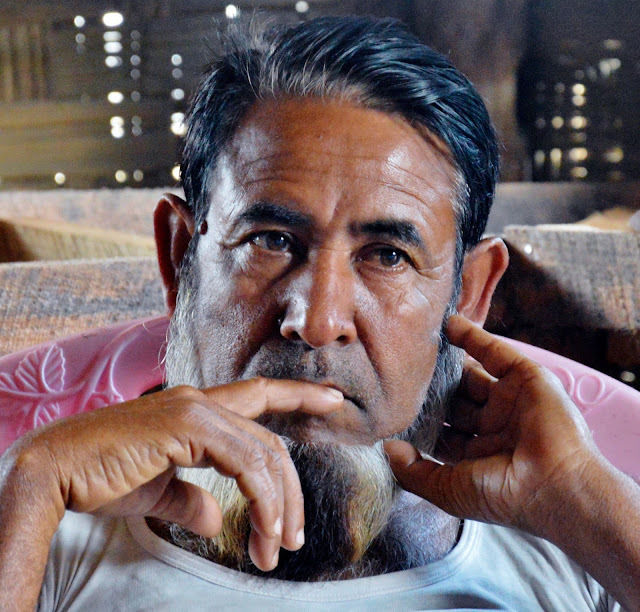 The Burmese government confiscated the house and the land, accusing him of not being the owner, despite all the submitted documentation attested the contrary. Being forced to sell animals, Soe found recovery in the IDP camp. At his best of knowledge, on his land there are now some government buildings. Houses are made of bamboo, wood and makeshift materials. In the camps, most of these houses were built by NGOs. Soils are predominantly sandy and dry and do not allow productive or profitable agriculture. Rickety geese and chickens, few scrawny cows or goats rummage in the dust. In some villages, people sell meat and vegetables, or there are some poor refreshment facilities; customers are those few people who can afford it, or some military patrolling around. There is no electricity. There is no water, which is supplied by NGOs in plastic containers or rudimentary wells. In some camps, some bathrooms have been arranged: a row of wooden cubbyholes with a hole in the center. Numbered, one for each family. The Arkar’s NGO also provides basic medical care, through a mobile clinic and a space for supporting pregnant women, but it does not cover overnight. To exit the camp, for visits or hospitalization in Sittwe hospitals, there are many difficulties. The applicant must be authorized by the government, which usually takes time for a decision; therefore, in urgent cases it is unlikely that the government will accept the request promptly. Also, applicants and families have to bribe the military to exit from camps. Furthermore, many Rohingyas do not trust about Sittwe's hospitals. They know they are unpopular among Burmese and are afraid -as it happened- that the treatment is purposely superficial or inadequate. Two young women tell me of having swelling, loss of sensitivity, and severe pain in their knees. They have difficulties in walking, and are supported by two people even walking for a few meters. Their faces are suffering. 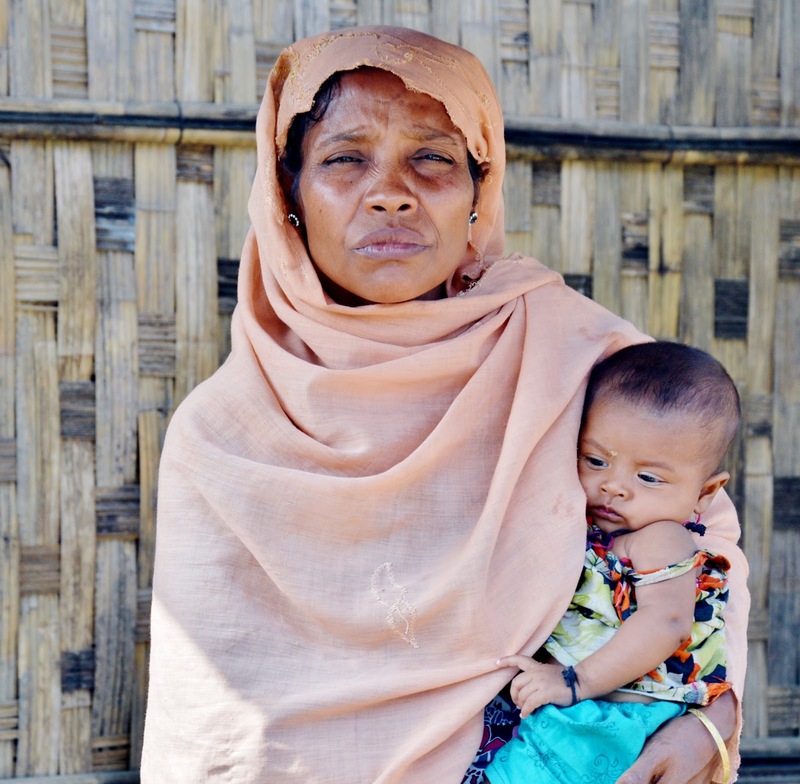 Despite the advice by the clinic, they did not go to the hospital; one of the two, having pain for over six months, says that they would rather die in Sittwe. 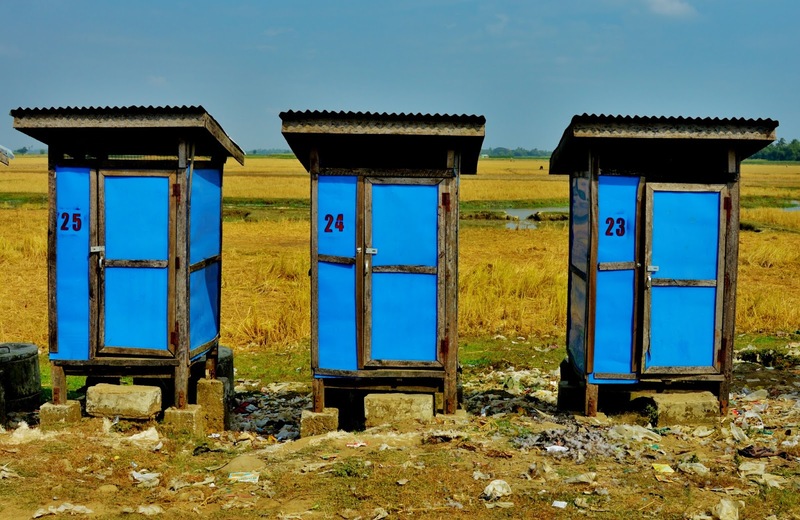 Despite the efforts, humanitarian aids are insufficient to meet the needs of the population. The scarcity of food and water, and the poor hygienic conditions, lead to high mortality rates, especially for children. An elderly woman says that about 500 children under five years died dead in the area since 2012, 200 of which below a year, mainly for diarrhoea. Rohingya’s faces appear to be hopeless. A man delivered a letter to me, handwritten, in which he talks about the discrimination by the Government and their suffering. He asks a redemption for his people, talks about the support by the NGO, and please doing everything possible to witness the plight of the Rohingya. To which, probably, it just remains to die.